Popped by the Browhaus Wheelock outlet the other day to try their semi-permanent eyeliner treatment! 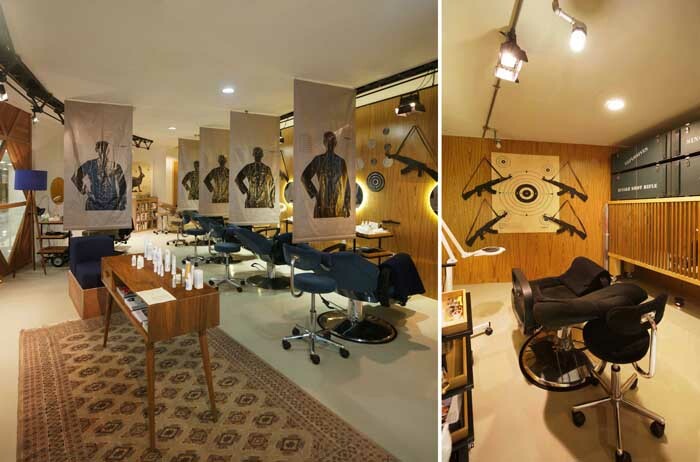 Read on to get the treatment done for yourself as well at 50% off! Browhaus' Eye Define treatment is a semi-permanent treatment that lines & defines your eyes, making them appear brighter & bigger! 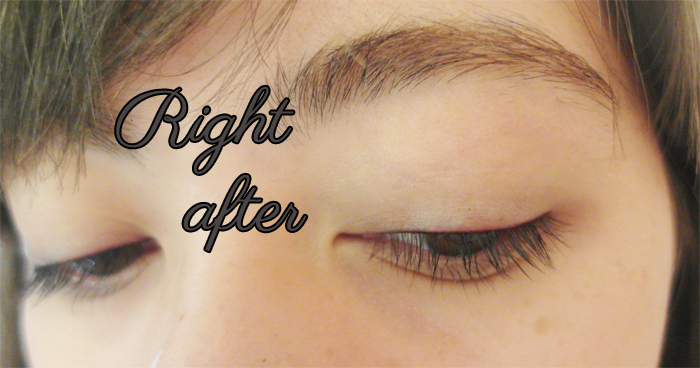 It's possible to have the treatment done on both your top or bottom eyelids! The Browhaus Eye Define treatment involves using a single needle machine to lightly scratch the surface of the skin, depositing vegetable dye to create the defined, semi-permanent eyeliner effect. You can choose from 2 shades - black or brown. In less than 90 minutes, you can have perfectly lined eyes which can last for 3 to 5 years! Browhaus therapists are trained for at least 2 years each before they are able to perform the treatment & a brand new needle is used for every treatment. Sat down & had the Browhaus Eye Define treatment briefly explained! Let your therapist know what kind of look you're going for (thin or full eyeliner, wing-tips... etc)! The therapist drew wing-tips for me at first & it looked good, but just before we started I decided I didn't want them :x I mean I generally draw wing-tips for myself now, but I didn't really want to commit to anything obvious for so long! So she erased the eyeliner & re-drew them for my approval. After I agreed, a numbing cream was applied! You keep your eyes shut from the point the numbing cream is applied until the end of the treatment. Browhaus provides disposable earphones for you to listen to your music during the treatment! I thought this was a clever touch because sitting there with my eyes closed would make me fidgety. It basically just feels like someone drawing eyeliner for you with perhaps a slightly sharper pencil than normal, but other than that it was a very mundane 30-45 minutes lol. Right after the treatment my eyes felt tired, as if I really lacked sleep or had just cried heavily. This went away fairly quickly though. You can see slight redness around the eyeliner line & it basically just feels maybe a bit sensitive for the rest of the day, but nothing particularly troubling. I was worried about swelling at first, but luckily for me I didn't experience much swelling! My double eyelids appeared maybe more defined than before due to the swelling, but other than that it was very mild. The next day it was pretty much gone for me. You should avoid wearing eye makeup up to a week after the treatment! It really depends on the individual ok! Gauge yourself how your skin is taking to the dye. Downtime of the procedure is really short (3 - 7 days), but results during this time will differ person to person. But most people I know who've done this treatment didn't experience much swelling either! Bare face! Clean & defined upper line. The Build & Fix duo help to cleanse & heal eyelids post-treatment. Pulled up my eyelids to show you guys the line! There's still some light redness along it, but it didn't hurt or anything. Avoid rubbing your eyes though! 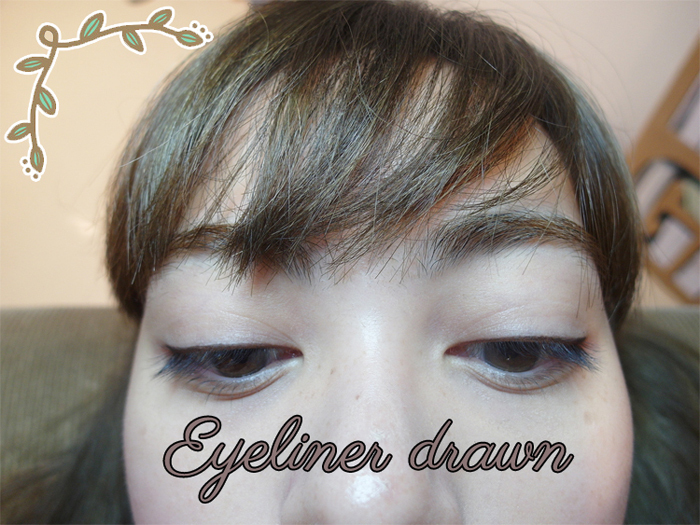 My liner is really super thin but you can opt for a fuller one to achieve your desired makeup look! The Browhaus Eye Define is definitely for girls who want to save some time in the mornings! And it's suitable for either light or thicker makeup, simply by adjusting how full you want it drawn. If you're comfortable with light makeup for work/school, then a thin line is fine! If not you can get a fuller one to save yourself the hassle of drawing eyeliner in the mornings & risking smudging/fading during the day, especially with normal secretion of oil by our skin & the humid climate! The Browhaus Eye Define retails at $856.00 (Upper Eyeline), $642.00 (Lower Eyeline) & $107.00 (Tune Up: Maintenance for each Eyeline, to be done within 6 months of first eyeline done)! Prices are inclusive of GST. 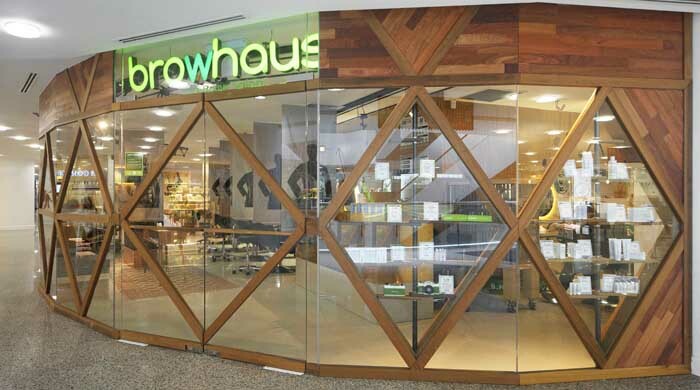 The Eye Define is available at all Browhaus outlets in Singapore. Quote 'Sophie Willocq' to redeem the Eye Define Upper Eyeline at $400 (U.P. $856)! Available at all Browhaus outlets. Valid to first time Eye Define customers till 7 September 2013 only. Visit www.browhaus.com for store listings! 9 comments on "Browhaus Eye Define"
Omg, it looks really nice! Simple too! I see a bit of smudging on your left eye though, at the fourth to the last picture. Is that part of the permanent look or was it a stray ink from the mascara? But this is a really really nice treatment. I'm definitely getting this when it reaches my country coz I like wearing eyeliner and I have oily lids, they tend to smudge in this humid weather. is touching up required? if yes, would is be free? also, is this suitable for single eyelids? I went ytd and you have to pay extra $107 for the tune up. The staff are nice but it really hurts for my case... They did mentioned that most people will need tune up.